0 Comments Published by Jane on Monday, March 23, 2009 at 9:34 PM. 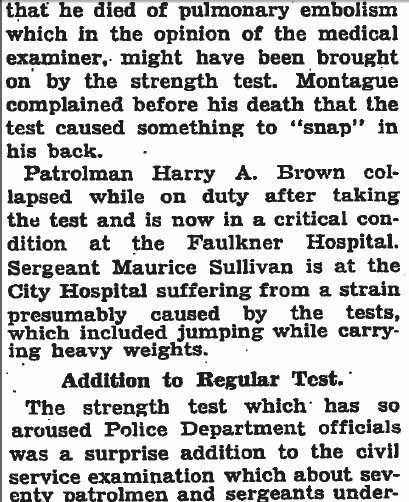 I recently came across this May 27, 1929 article: Patrolman Dies In Strength Test. 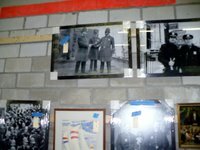 It appears a group of older Boston police officers were surprised on civil service test day with a new strength test section. One of the older officers exerted himself so much that he died while others ended up injured and hospitalized. 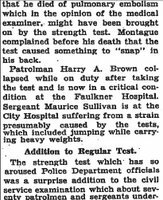 Among the injured was a Sergent Maurice Sullivan who strained something while jumping with heavy weights. If this is my great-grandfather, he was 67 years old at the time of the test. 1 Comments Published by Jane on Saturday, December 20, 2008 at 4:50 PM. 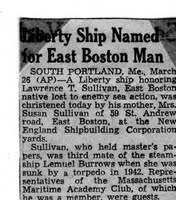 Once again I have been spending hours looking through the historic Boston Globe archives searching for any mention of various family members. 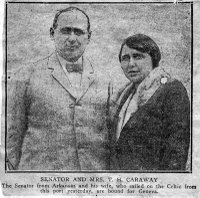 This time I decided to look into another person in the Sullivan branch of the family tree - Patrick Leo Crowley, husband to Margaret Sullivan (Maurice Sullivan BPD eldest daughter). 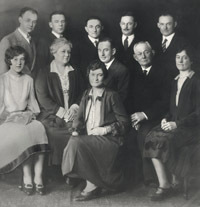 Patrick and Margaret never had any children of their own, but the couple was very involved with their many nieces and nephews. Both had passed away by the time I was born, but I grew up hearing stories about them and when I reach into my recipe box I pull out cards made by Margaret who was famous in the family for her cooking. Crowley secured a percentage of 97.5 and at rollcall tomorrow night his pay will jump from $2 per day to $1,000 a year, or $19.17 a week. 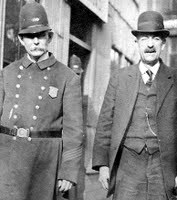 Crowley was appointed to the department Feb 27, 1911, and for several months before his shift to East Dedham st was on duty at Division 12, City Point. 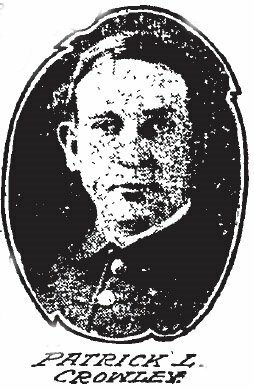 From April 30, 1906, until Feb 26 of the present year he was a member of the Fire Department, serving at Ladder 11, Brighton and Ladder 21, Saratoga st, East Boston. Prior to that he was a well-known athlete, being the manager and playing center on the East Boston A.A. Basketball team which a few years ago was defeating all comers. He is a brother of James J. Crowley, the High School athletic instructor, and John J. Crowley, formerly a fireman, and potato race champion. 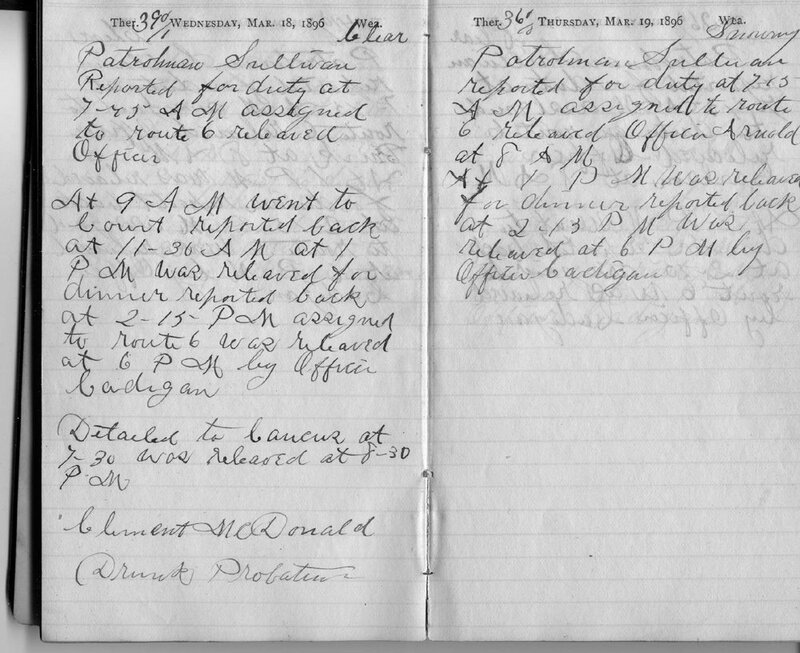 So Patrick L. Crowley was first a fireman then a patrolman. Family lore has it Margaret Sullivan first met Patrick while he was working as a fireman at the Saratoga street firehouse. I wonder if Margaret's father, Srgt. Maurice Sullivan, had anything to do with interesting Patrick in switching careers. 5 Comments Published by Jane on Friday, December 05, 2008 at 12:53 PM. Today was the first of a two day movie prop sale. The movie, The Edge of Darkness, has recently finished filming in Boston. 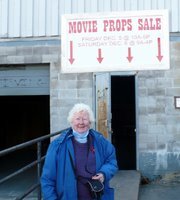 My parents decided to visit the prop sale this morning since my great-grandfather, Maurice Sullivan, will be making an appearance in the movie (we hope). I have posted on my blog here a few times about Maurice. I even included a photo of him in this post: Srgt Maurice Sullivan catches his man. 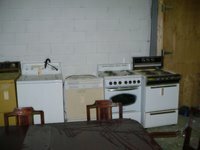 The photo in that post caught the eye of a Hollywood set dresser. I was contacted to see if we would be willing to let the photo be used in the movie as part of the set background. My Mom agreed, and now, some 75 years after his death, my great-grandfather will finally be in the movies! But back to today's sale. 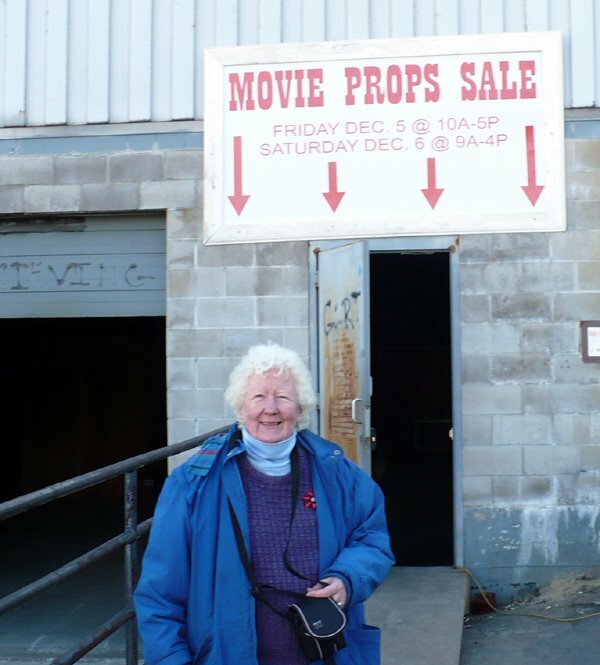 There is Mom, Sue Deedy, in front of the door near the loading docks. 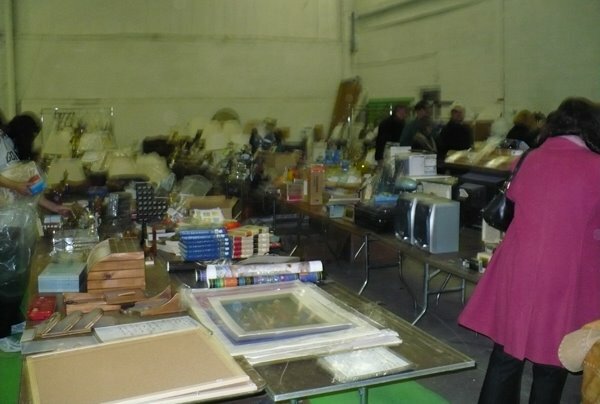 The sale took place in Chelsea in an old furniture warehouse. My Dad was the photographer on today's expedition. I could not attend since I was working. 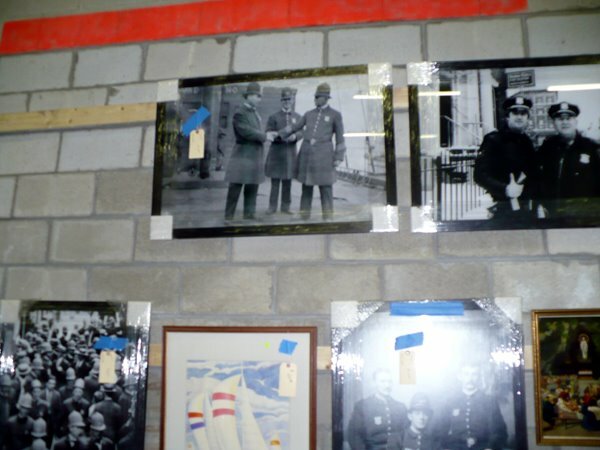 They quickly found the enlarged and framed photo of Maurice Sullivan. The shaking hands photo should be seen in a police station hallway (I believe) in the movie. 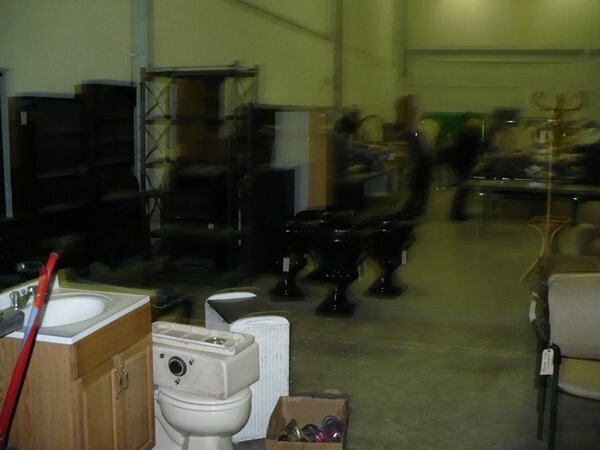 I will have to look closely for it once the picture is released sometime in 2009. You can click on any image to see larger. The shaking hands photo was priced at $134.00. Mom did not buy it, but she really wanted to! Instead, she purchased some other small items. The prop sale mostly had household goods items. Lots of lamps, books, kitchen ware, furniture - that kind of thing. Stuff you could find at any yard sale. Dad was also amazed to see kitchen appliances for sale - appliances that looked like they are from different eras. Now we will have to wait until the movie is released and hits the theaters. Everyone be on the lookout for that shaking hands picture! Update: Looks like the movie is expected to be in theaters June 2009 - at least that is what one of the set people staffing the sale told my Mom when she went BACK today! 0 Comments Published by Jane on Monday, December 01, 2008 at 8:01 PM. 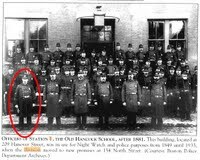 It appears my great-grandfather, Srgt. 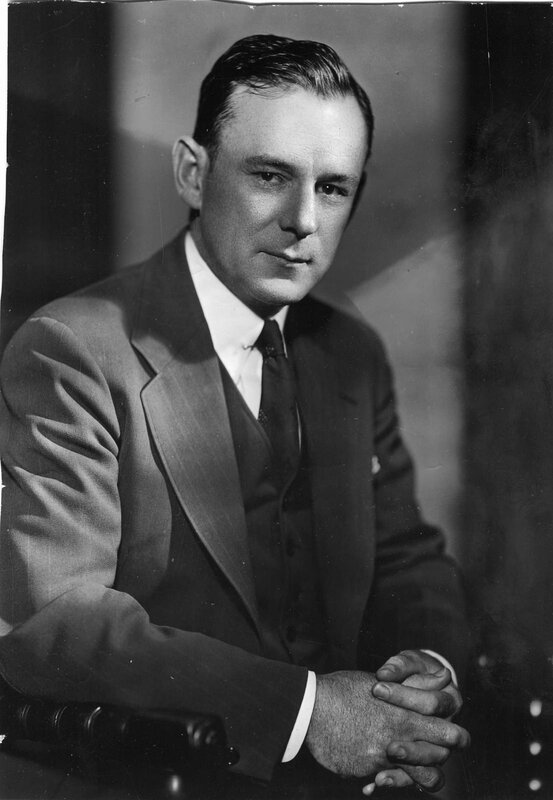 Maurice Sullivan, had a number of run-ins with an Italian organized crime group called the Black Hand. 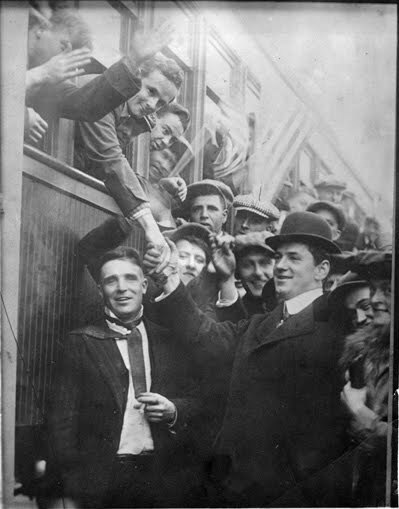 During the early 1900's, residents of the "Little Italies" of many eastern industrialized urban areas had to contend with a crude form of protection racket known as "La Mano Nera" or "the Black Hand." Those members of the local community who were better off financially might receive an anonymous note demanding that a sum of money be paid to the writer. If payment was not forthcoming, victims were typically warned that they could expect to have their businesses bombed or the safety of their family members jeopardized. Customarily, the extortion demand was signed with a crude drawing of a black hand. 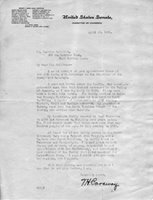 While the receiver of the letter (as well as other members of the community) were led to believe that the Black Hand was a large and powerful organization, it is more likely that the extortion was the work of individuals or a small group of offenders who used their victims' fear of secret societies (and often their fear of the police) to coerce payment. 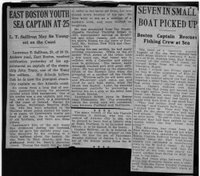 This Boston Globe July 28, 1922 article describes a Black Hand trial that Srgt. Sullivan testified in. 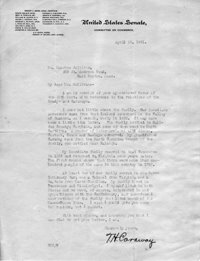 A local North End family was receiving blackmail letters and it appears my great-grandfather was trying to help outwit the gang members. Unfortunately, his fake money ruse did not work, and a murder did occur. Sergt Maurice Sullivan of Station 1 said that on Dec 28 he and Tessarrero were at Unity st with Scarpone, his wife and his brother, Alphonso Scarpone, who lived with them. After reading a letter, Sergt. Sullivan cut up some newspapers in the shape of currency, made them into a bundle and gave them to Alphonso Scarpone. About 7:10 o'clock he went to the Charter st playground and remained until 8:35. Shortly before 8 o'clock Alphonso Scarpone passed him. Fifteen minutes later a man came up the steps leading into Charter st, looked around and went in the same direction as Scarpone. Scarpone only partly followed his instructions, Sergt Sullivan said. 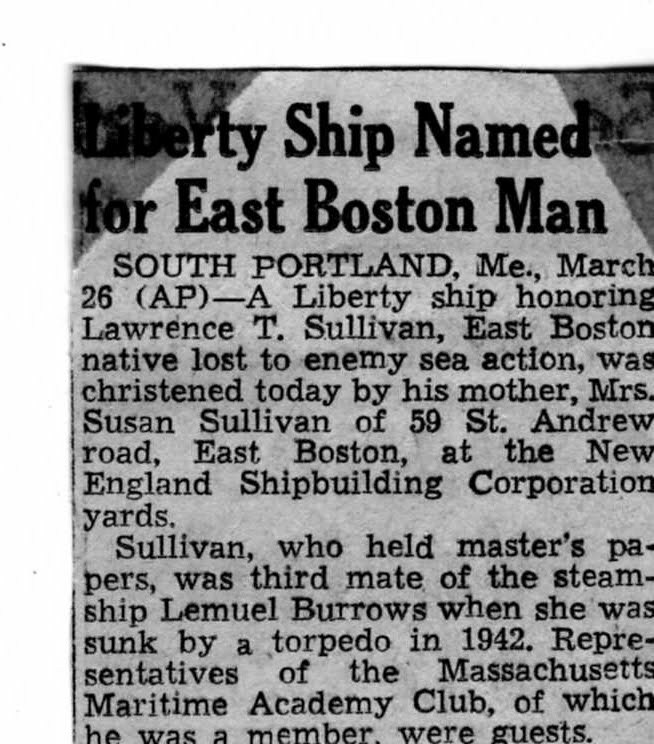 Sergt Sullivan said that at 10:30 pm on the same day he went to the steps leading into the North End playground. There he saw a bush with a piece of red cloth tied to it and footprints in the snow about it. Gene Kelly starred in a 1950 movie called The Black Hand about a group in New York City. Sometime I will have to watch it. It appears my great-grandfather ran into some very dangerous characters while patroling his beat in the North End. 0 Comments Published by Jane on Tuesday, July 22, 2008 at 10:55 PM. 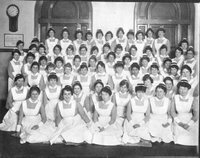 Eighty young women, constituting the "Victory" class of the Massachusetts General Hospital, after completing the hardest year of continuous hard nursing that has ever been done by pupil nurses in the history of the institution, were graduated last night. Dr. Henry P. Walcott, chairman of the board of trustees, who presided at the exercises and announced the graduates, declared that each individual member of the class had done as high a service and incurred as grave a danger as any nurse or soldier in service abroad. 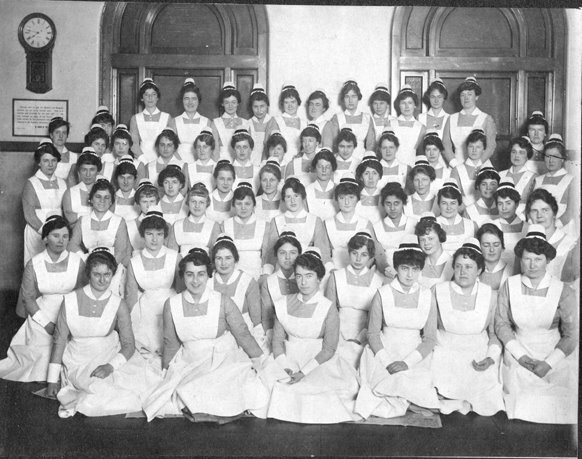 The members of the class have in the past year nursed over 800 cases of influenza which came in two great waves. Over half of the class were seriously ill with the disease; and all, because of the severe tax which overwork placed upon them, were made dangerously susceptible. One of their number died. A scarlet fever epidemic placed 36 of the girls on the dangerous list, but all survived. "There are no words," said Dr. Henry Van Dyke, who made the address of the evening, "that can fittingly commend the part that women, and especially nurses, have played in the winning of the war. The type of service that did not flinch even before an enemy that chose as its favorite target that Red Cross on the roof of a hospital, can never be given its just reward in rhetoric. 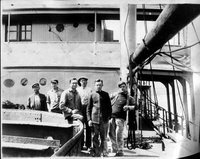 It has been estimated that between September 1, 1918 and January 16, 1919, approximately 45,000 people died from influenza in Massachusetts alone. I hope the rest of Great-Aunt Jane's nursing career was relatively peaceful after that introduction to her profession. 0 Comments Published by Jane on Thursday, July 17, 2008 at 8:48 PM. At least that is what the newspaper article reports in this interview of my Great-Grandfather, Srgt. Maurice Sullivan of the Boston PD. I am so lucky that this interview was published - it shows just how dangerous his job could be. 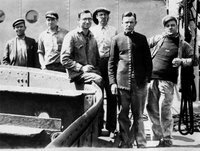 While the article found does not have a date on it, the incident most likely occurred in the late 1800's and the interview done in the early 1900's. No. 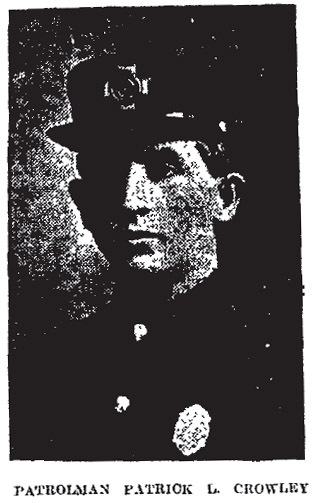 127 – Patrolman Maurice Sullivan. 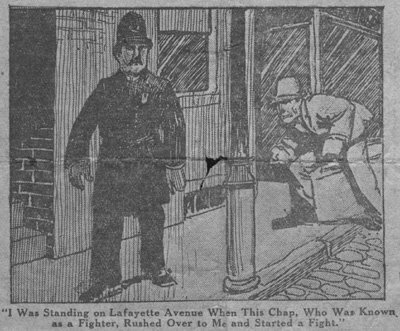 In Patrolman Maurice Sullivan of the Hanover street station one will find an interesting person. In 26 years of service in that section he has seen many changes. As a young man he patrolled many of the worst “beats” in the dear old North end. In those days of few policemen a man had his work cut out for him. 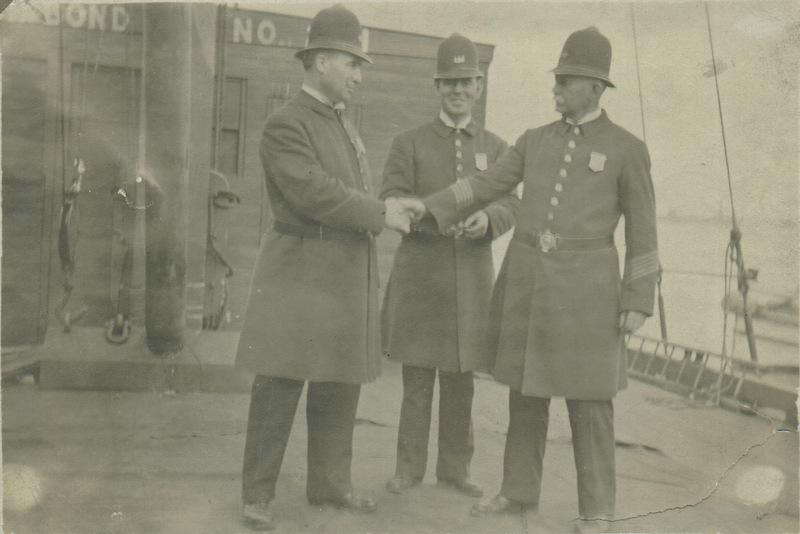 Being arrested for intoxication was treated as a more serious offence than it is now. A man then would put up a fight before he would submit to arrest, for arrest meant a heavy fine or imprisonment. Office Sullivan’s most thrilling experience came when he had been a member of the department a few months. 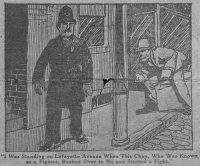 It was a fight with a drink maddened man near the old gas house on Prince street. “I was standing on Lafayette avenue, near Prince street, about 1 o’clock in the morning, 26 years ago, when this chap, who was known as a fighter, rushed over to me and started a fight. His attack was so sudden that he got a good hold on me. “He started to pummel me, and, of course, I fought back, for a I knew that I could expect no mercy from a man like him. In those days there was a pretty tough crowd at the gas house, and scores of men came to where we were fighting and encouraged the man. 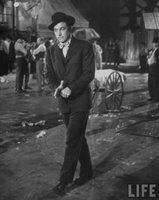 “They would have liked to have seen me ‘done up.’ Lafayette avenue has an incline and the street was then paved with round cobbles. Many times my head went banging against these stones and so did the other fellow’s, for that matter. We had been battling for almost half an hour when by a strong push the man bowled me over. He came with me, however, and I managed to get on top when we landed on the street. We rolled down the incline to Endicott street, while the hooting, jeering crowd followed, often waiting for me to get mine. While locked together in the street the man sunk his teeth into my ear and started to rip it off. I felt the teeth sink in and believe me the thrill I received then, thinking my ear was gone, was awful. 0 Comments Published by Jane on Thursday, June 19, 2008 at 10:42 PM. 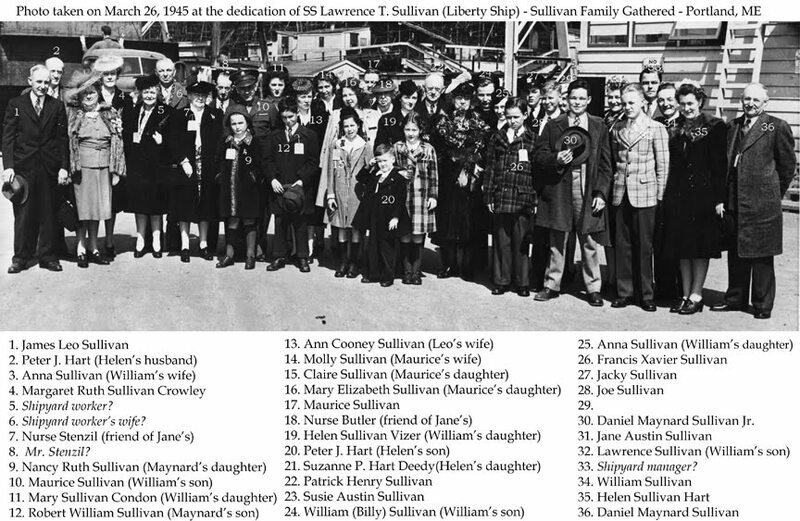 Growing up I always knew I was named after my Great-Aunt Jane Austin Sullivan. As a young child I spent many happy days with her (she was a frequent baby sitter). She never married or had children of her own, but she was great with me. My fondest memory is from a rainy day when I was about 5 and she was in her late 70's. I must have been unhappy being stuck indoors and when she asked me what I would do if I was outside I said I would play hop scotch. Aunt Jane then proceeded to hike up her skirt, kneel down on her oriental carpet, and with a thick piece of sidewalk chalk outlined a hopscotch grid. I can still pictured us today in my mind, hopping around in her living room screeching with laughter at playing an outdoor game indoors. Breaking the rules was so much fun and her complete willingness to draw on her carpet - knowing chalk can just be vacuumed up - was pure genius. 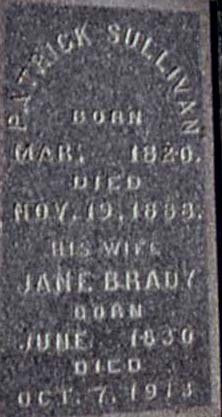 Jane Brady was born in June 1830 in County Sligo, Ireland. 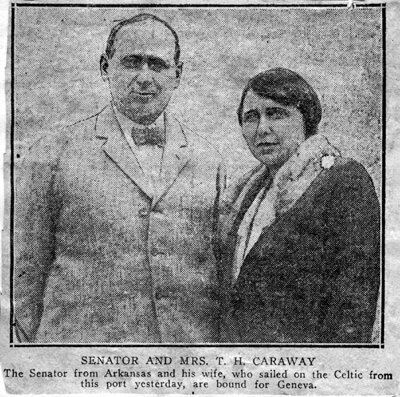 Her father was Maurice Brady and her Mother was Margaret Caraway, both of the Town of Sligo, County Sligo, Ireland. By 1847 both of Jane's parents were dead and Ireland was in the grip of the Great Potato Famine. By 1850 one million people would have perished in the famine and another million immigrated. Jane was one of the lucky who was able to escape the fate of her parents and immigrate. 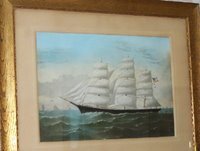 In June 1847 she sailed in the Brig. General Tailor commanded by Capt. Lilly of South Warren. Family lore has it that Jane was able to work as a nursemaid to Capt. 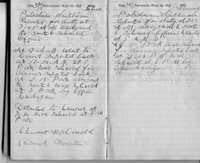 Lilly's children to pay for her passage. This meant she was able to make the crossing in relative comfort, unlike the poor souls who traveled to North America in Coffin Ships. But only two of those children outlived her and her husband. Ellen who never married or had children and Maurice who went on to give Jane nine grandchildren. 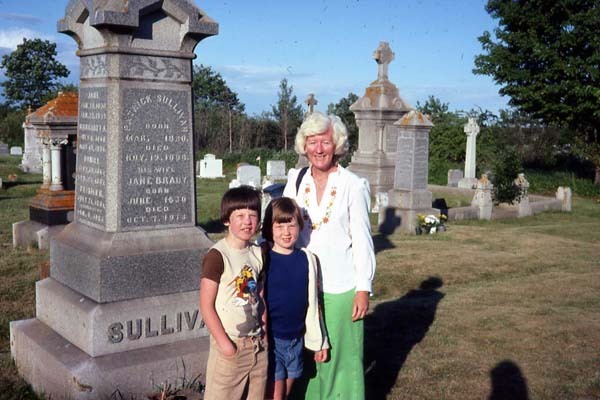 Jane Brady Sullivan died at age 83 on Oct. 7, 1913 in Thomaston, Maine with her daughter Ellen by her side. 0 Comments Published by Jane on Friday, May 16, 2008 at 7:38 PM. While digging around in the pile of family memorabilia that my Mother has accumulated, I came across my great grandfather's patrolman notebook. This used to be kept in my grandmother's dining room sideboard (not far from the peppermint pinwheel candies - hum, funny how you remember little things like that) and I recall paging through it as a child. Detailed to caucus at 7:30 was released at 8:30PM. 0 Comments Published by Jane on Saturday, July 14, 2007 at 11:17 PM. I am lucky enough to have two family portraits of the Sullivan's. The first was taken Easter Sunday 1910. 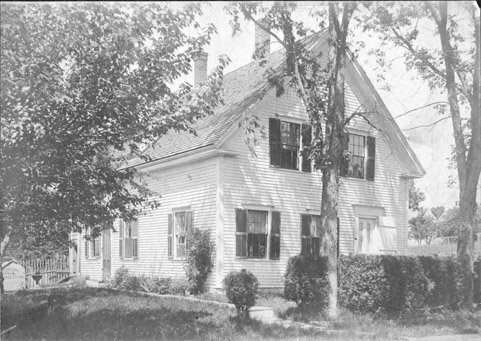 Location: At the time this photo was taken the Sullivan family was living at 610 Bennington Street, East Boston, MA. 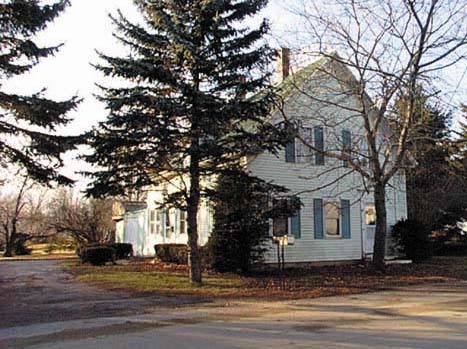 Close to the Bennington Street house lived the Austin’s – Grandparents to the Sullivan children – on Saratoga Street. We believe this photo was taken on or near the back yard of this Austin’s home. The brick building seen in the background could be part of the St. Mary’s church and school property. This undated photo appears to have been taken in the 1920’s. All of the people pictured in the earlier portrait are present in this one - so we have an opportunity to see how they looked as children and then as adults. By this time the family have moved from Bennington Street to St. Andrew Road. 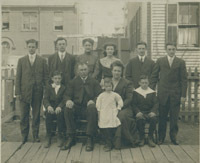 Some had married and started families of their own, but all still lived close enough to gather for the photo.